Well, it’s August. Summer is almost over. Those 100 degree temps are winding down, though I think we only saw them once or twice last month. It’s been a very mild summer when it comes to heat so our flowers were thriving. Usually they are long gone by now. But we’ve still got a few blooming, so my next few posts will be all about the latecomers to the garden party. 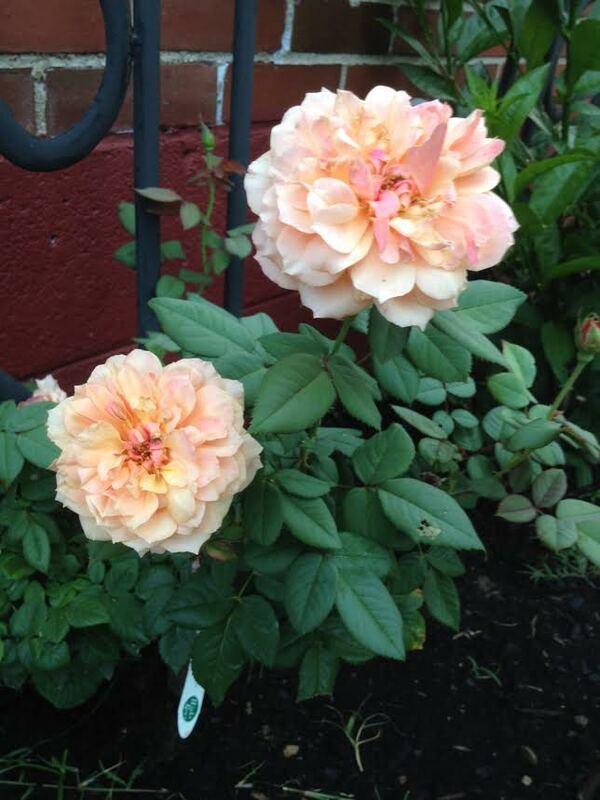 First up are these roses that are blooming right now. What’s neat about them is that we moved the rose bushes this year to a new bed and we also had to cut them way back. Out of 4 rose bushes, only 3 survived the winter. Two of them were also about five feet tall and had to be cut back to about a foot. We really didn’t think they would survive, especially after we moved them. But they are making a comeback and showing their resilience.